This vintage style "I Love Birds" t-shirt is available on multiple styles/colored shirts, as well as with purple, blue, yellow, red, and green design. Also available on other products like mugs, pillows, totes, etc. 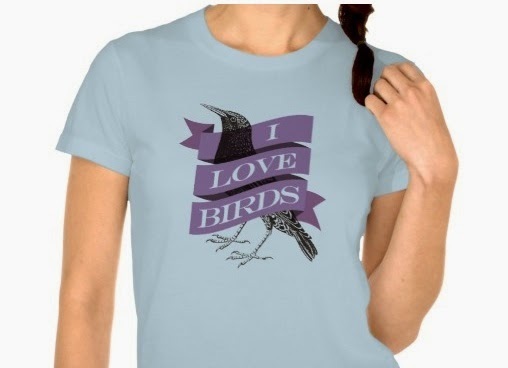 Find this design and more bird lover designs at the Literature Lyrics store on Zazzle.